The Vipp story begins one spring Sunday in 1931 when 17-year-old Holger Nielsen wins a car in a lottery at the local football stadium. Holger loves cars but has no driving licence, and he therefore decides to sell the car and invest in a metal lathe. 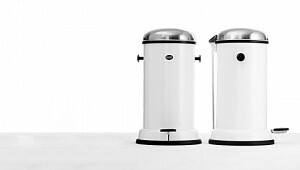 This marks the beginning of Holger’s metal factory where, a few years later, he creates the product that will make him famous around the world: the Vipp pedal bin. Since then Vipp has grown into a large family offering a wide range of products. 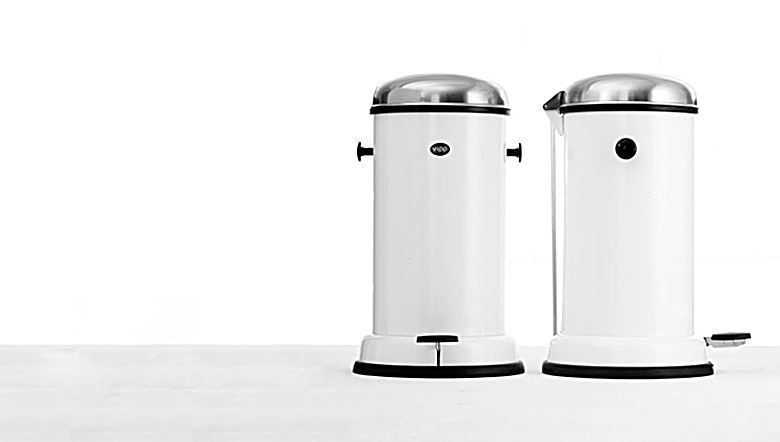 Today, the original bin is available in five sizes and has been joined by several new bathroom and kitchen products. The kinship in the Vipp collection is unmistakable in both the choice of materials and style. The new products are manufactured using the characteristic Vipp materials, steel and rubber, enhancing Vipp’s more than 70-year-old tradition for excellent craftsmanship and durability. Now, some 80+ years later, Vipp is launching one of its most sensational product-developments with a radical reinterpretation of the kitchen. 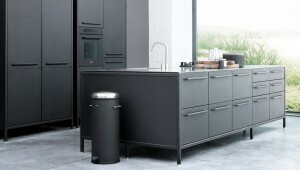 Since the creation of the bin in 1939, Vipp has become synonymous with quality products for the kitchen and bathroom. “Vipp’s experience lies within product design focusing on solid materials, mechanics and function. 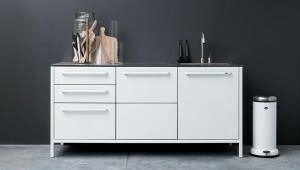 As a consequence we have chosen to design the Vipp kitchen as a product or rather as a piece of furniture. 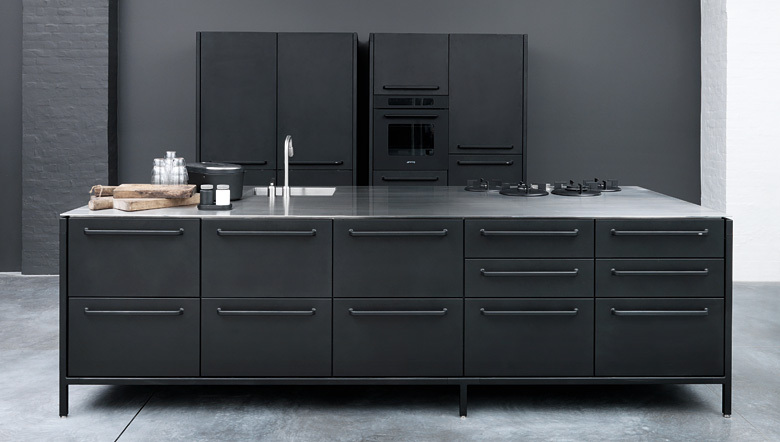 The result is a range of kitchen modules where choices have already been made based on a thorough knowledge of materials combined with an aesthetic opinion on what constitutes good design.” – chief designer in Vipp, Morten Bo Jensen. “Like with the Vipp bin, we bring the industrial look into the home with the new kitchen – a solid product, standing to be used day after day.” - Morten Bo Jensen. Different sizes can be combined and formed after individual needs. 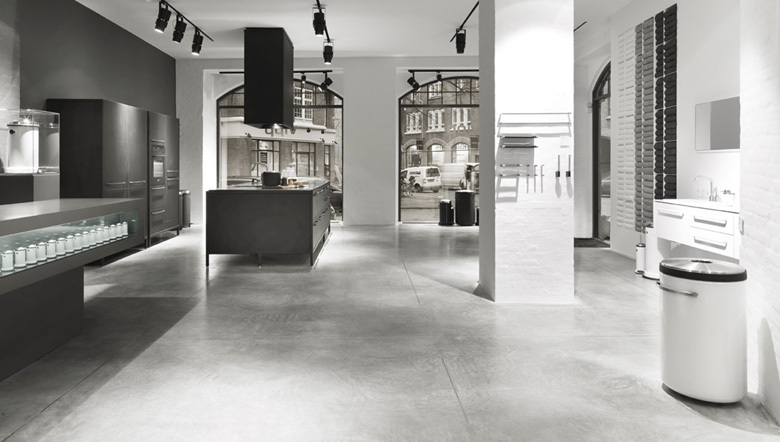 Vipp’s more than 70 years of experience within processing of steel makes stainless steel an evident choice of material in the development of the Vipp kitchen. 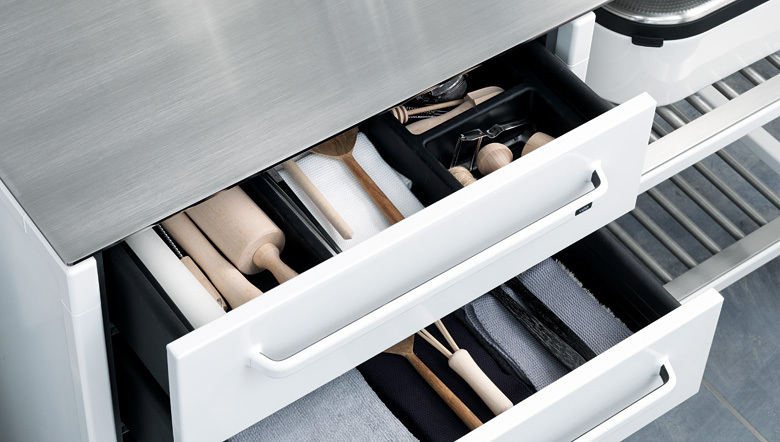 “Like with the Vipp bin, we bring the industrial look into the home with the new kitchen – a solid product, standing to be used day after day.” – Morten Bo Jensen. A range of modules in different sizes can be combined and formed after individual needs. The complete Vipp kitchen concept unfolds in every detail – even fixtures, drawer pulls and inserts, as well as gas knobs are developed in respect to Vipp’s design DNA injecting a functional and visual cohesiveness into the kitchen. 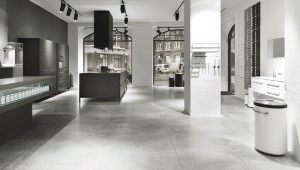 The Vipp kitchen is sold in Vipp Flagship Store in Copenhagen. Previous PostRock, paper, kitchen!Next PostGet ready for Eurocucina 2012! Great story. I love how somebody’s pragmatism turned him into a success story. By the by, the Vipp kitchen looks really solid and stylish. My only concern is it looks better suited for a bachelor pad and not a cozy family home. Well, I could be wrong. @ Rye-that’s funny you said it looks better in a bachelor pad. I have one and I love it…but then again I do have a bachelor’s pad:). Great article as well guys! It is a great story, and he made a good decision in his 17 years because he thought that the car won’t suit for him and he invested that money in a good business which he can do well. Now Vipp products are all around the world.